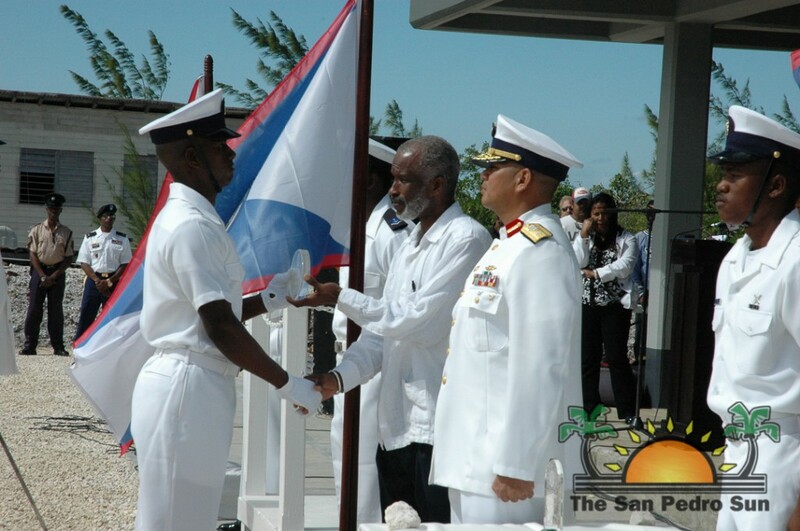 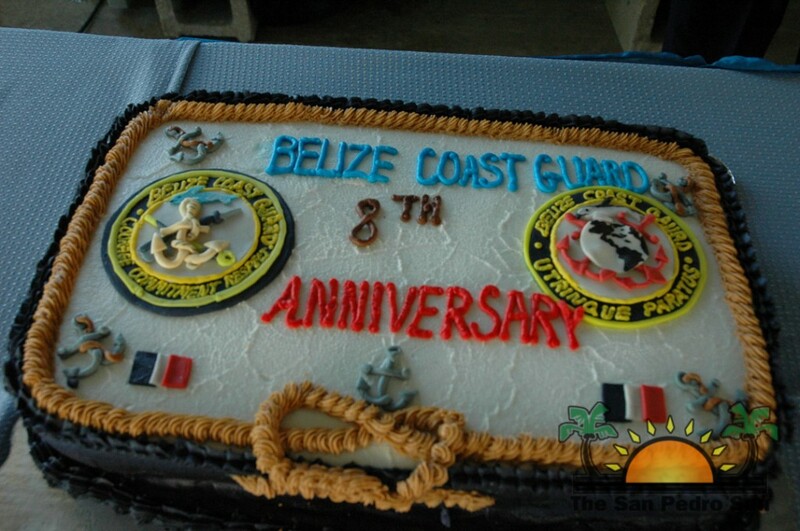 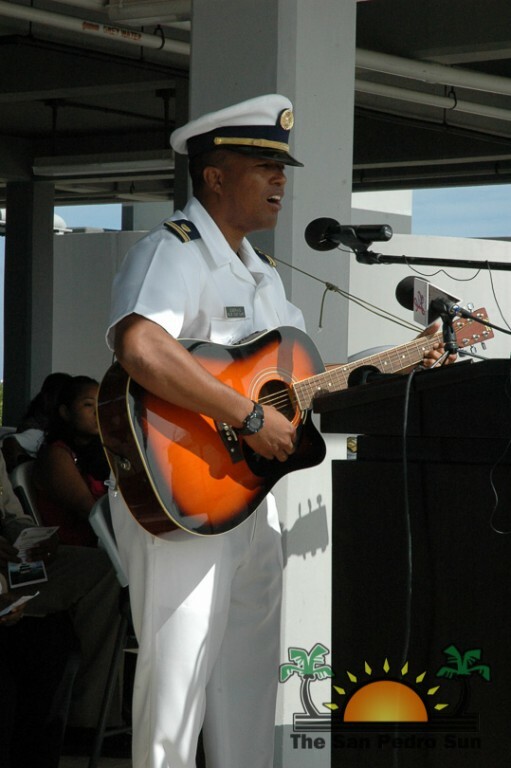 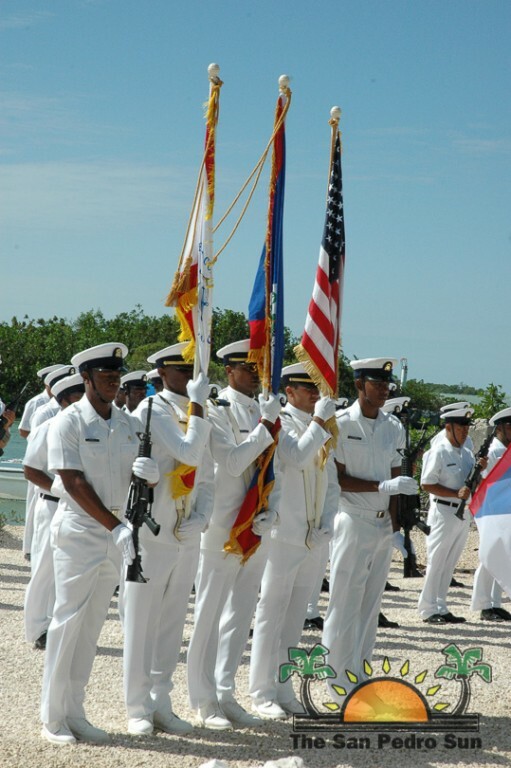 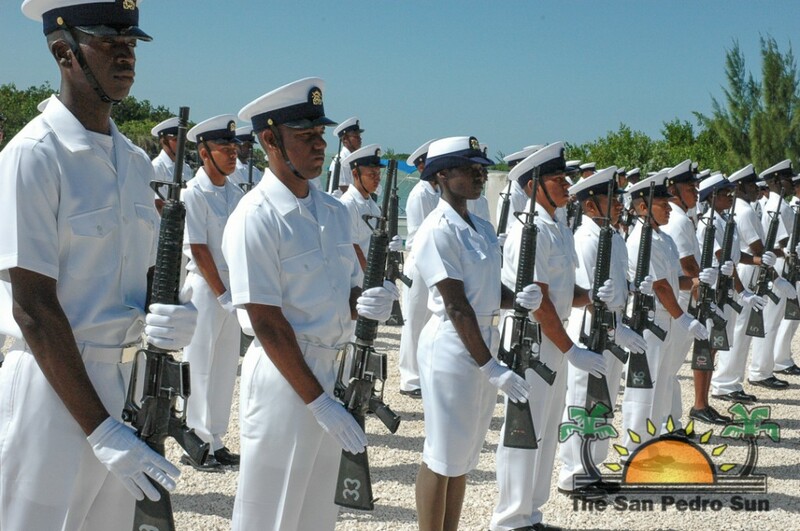 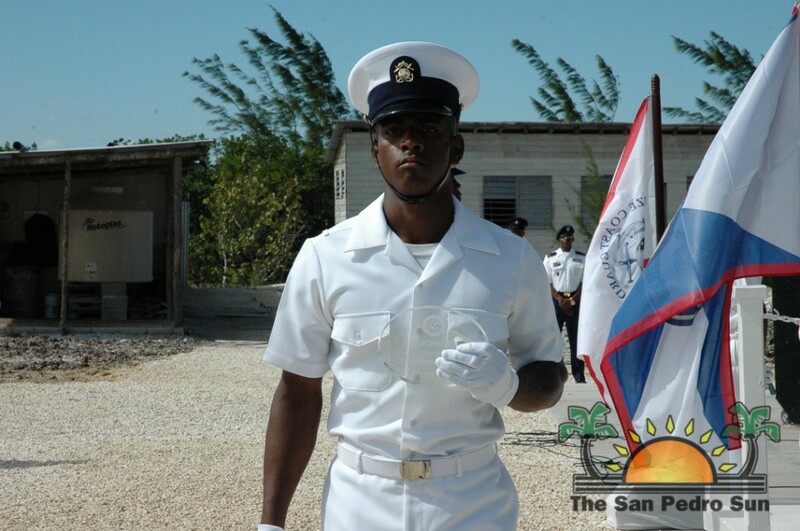 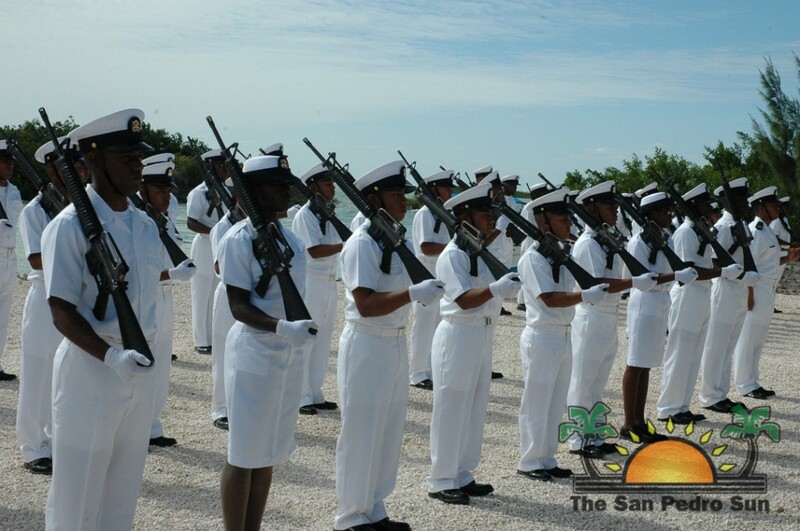 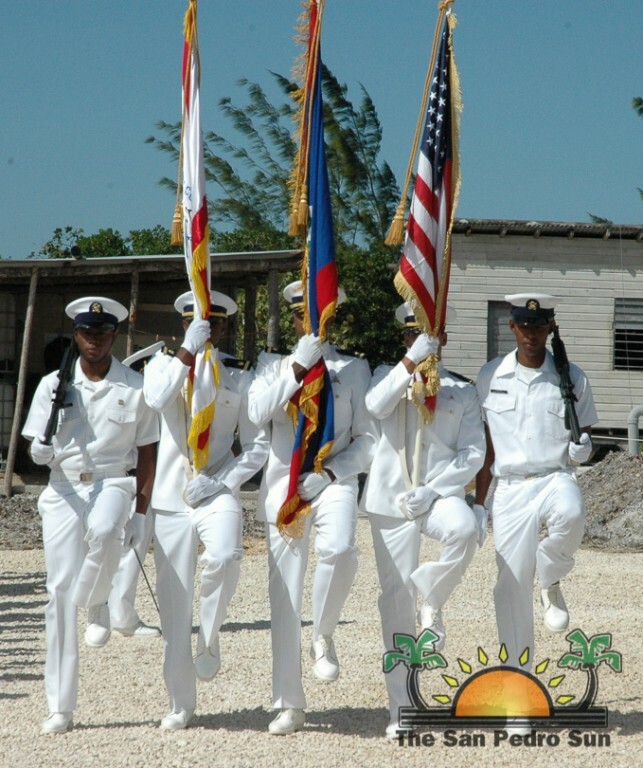 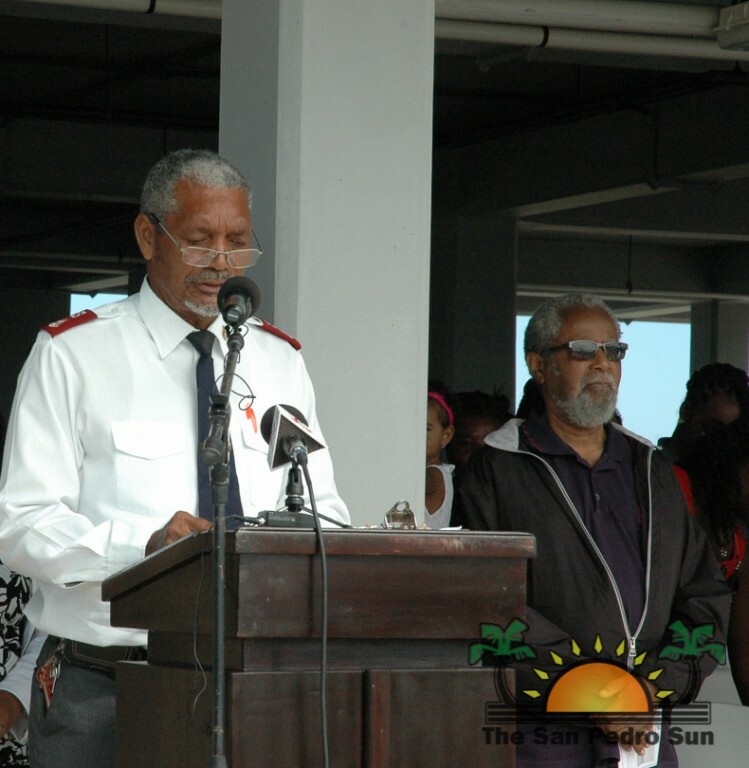 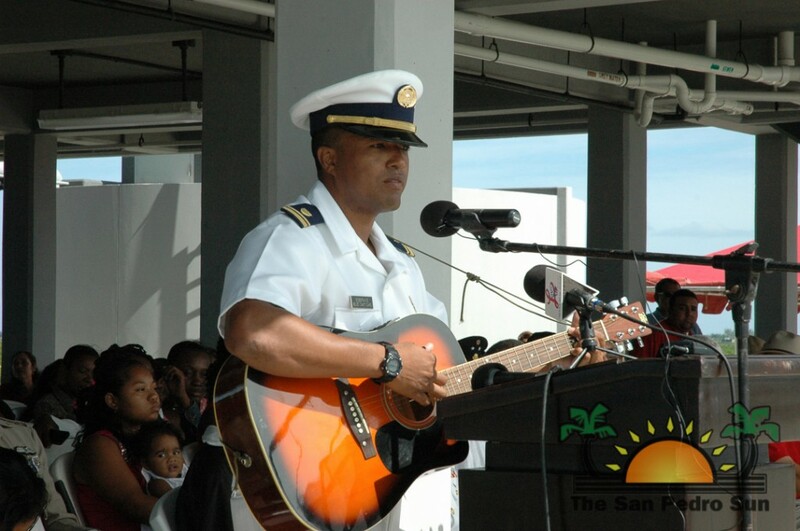 The Belize Coast Guard held a very special ceremony on Friday November 29th to mark their 8th anniversary. 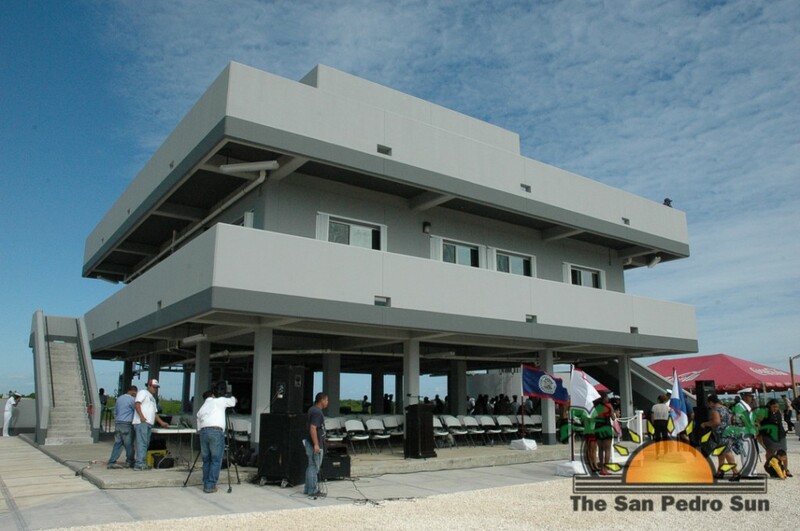 The event, which was threefold, was held one and a half miles southwest of San Pedro Town, Ambergris Caye at the newly inaugurated facility. 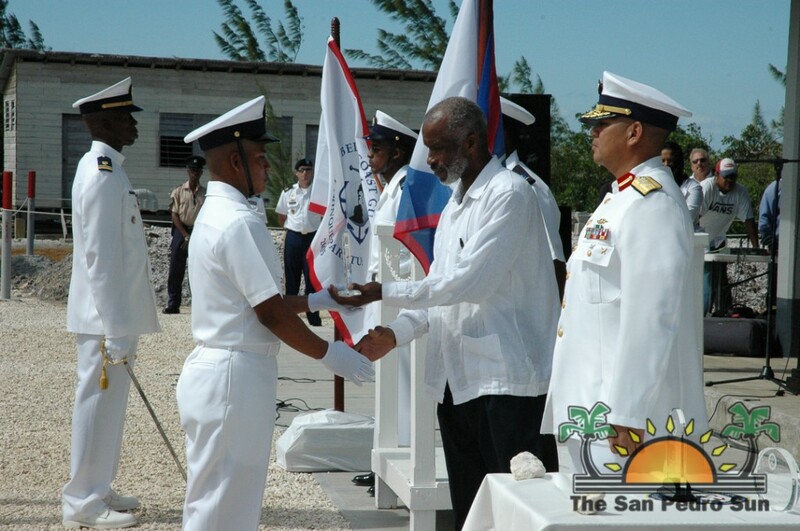 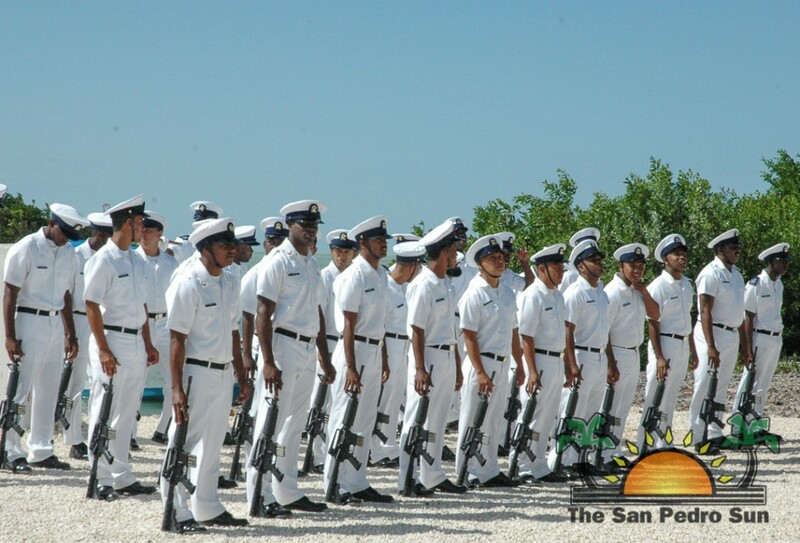 It entailed the Belize Coast Guard’s 8th anniversary celebration, the graduation of the 4th intake and inauguration of the Belize Coast Guard northern Forward Operational Base (FOB) on the leeward side of the island. 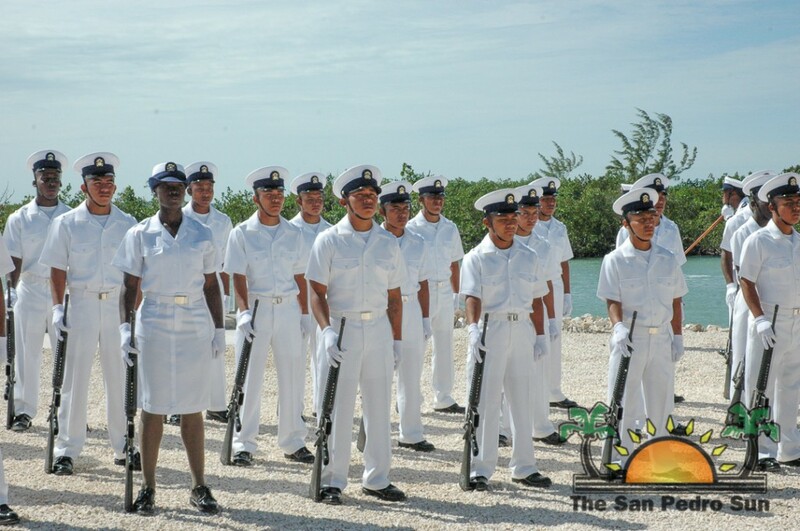 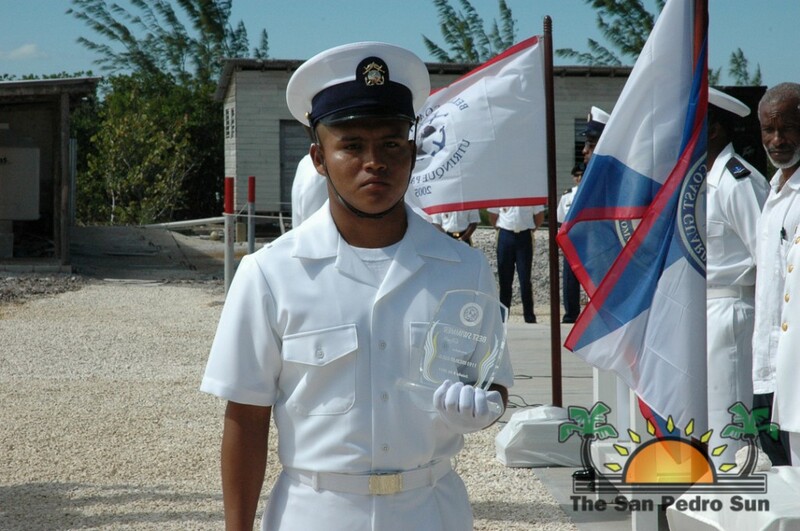 As part of their mid and long term goals, the Belize Coast Guard has a plan to increase their manpower up to 40 annually through the year 2020. 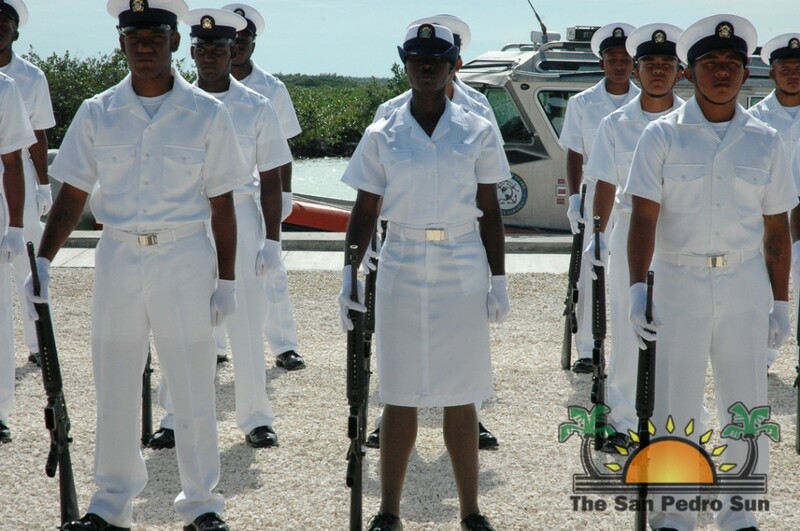 On Friday, 30 new Coast Guard Officials graduated as part of their 4th intake. 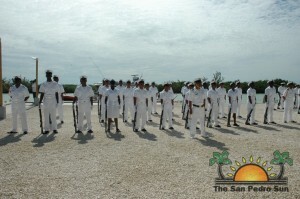 From the 80 that started a vigorous 12 weeks strenuous mental and physical training, only 2 female and 28 male succeeded. 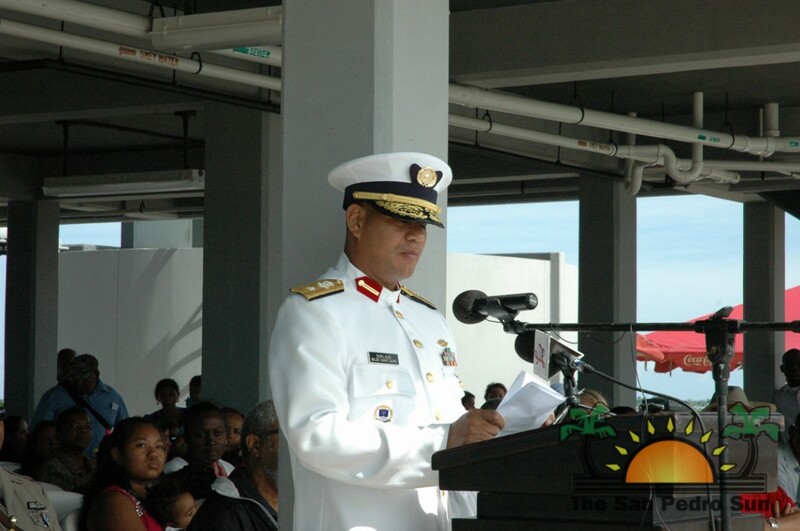 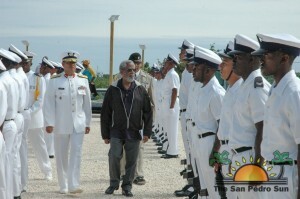 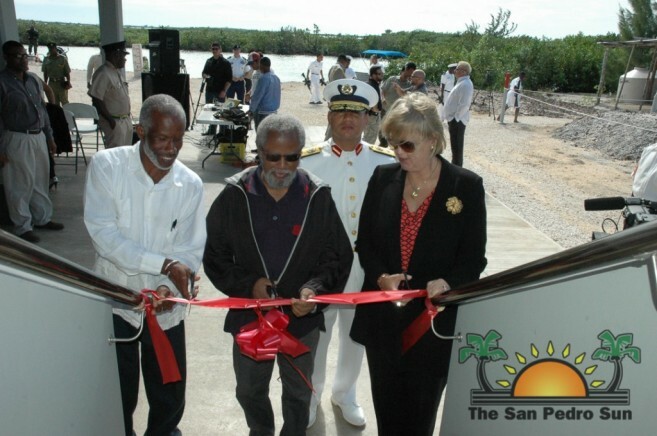 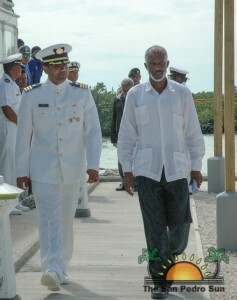 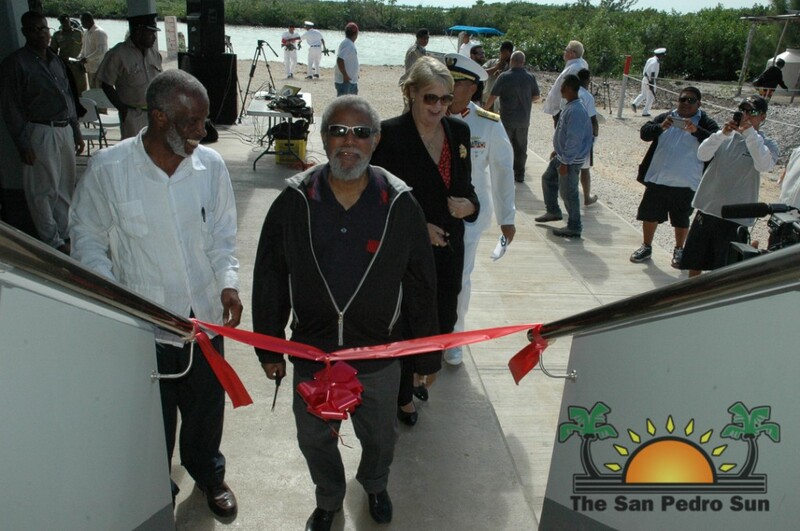 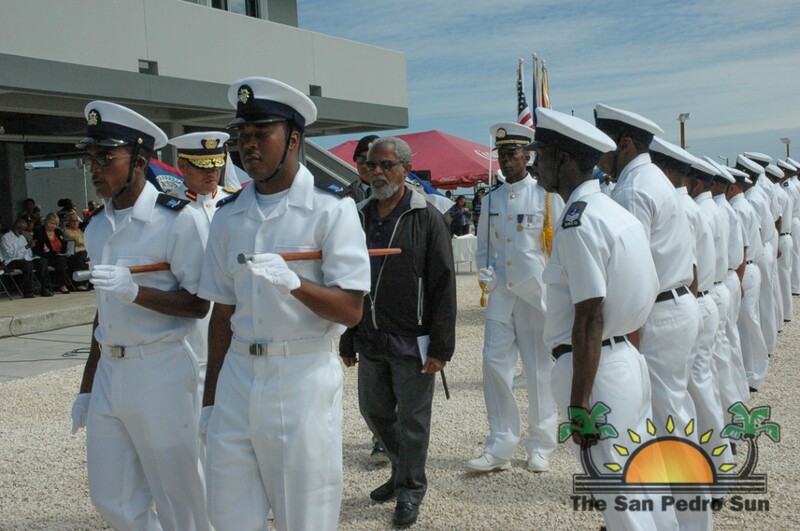 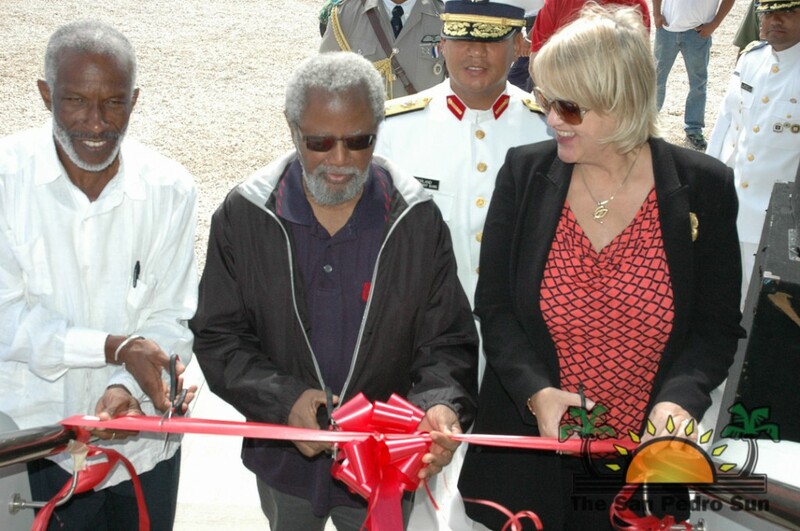 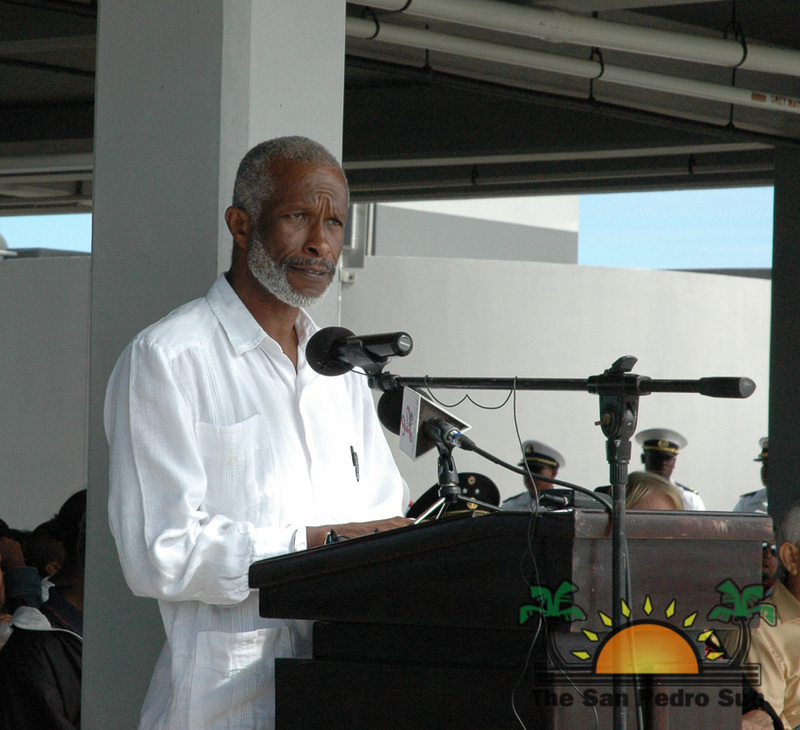 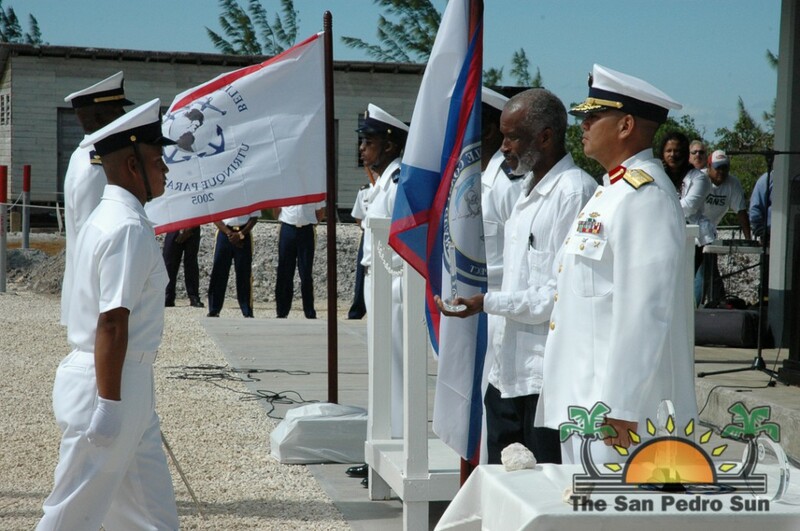 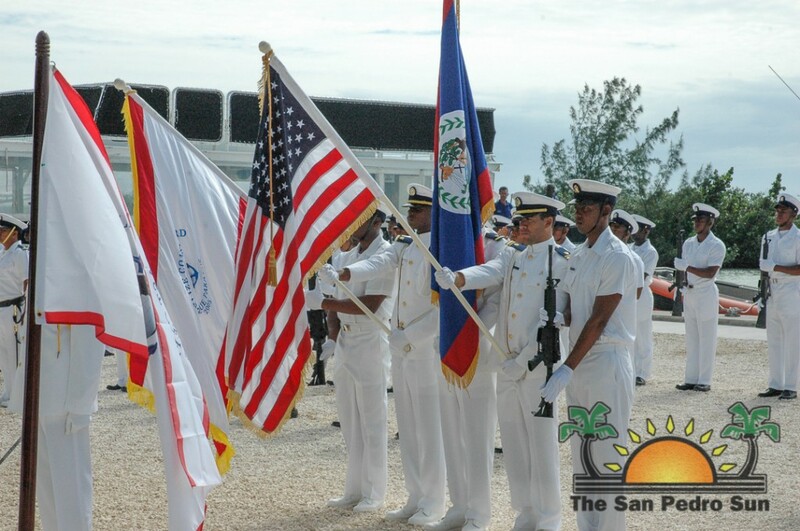 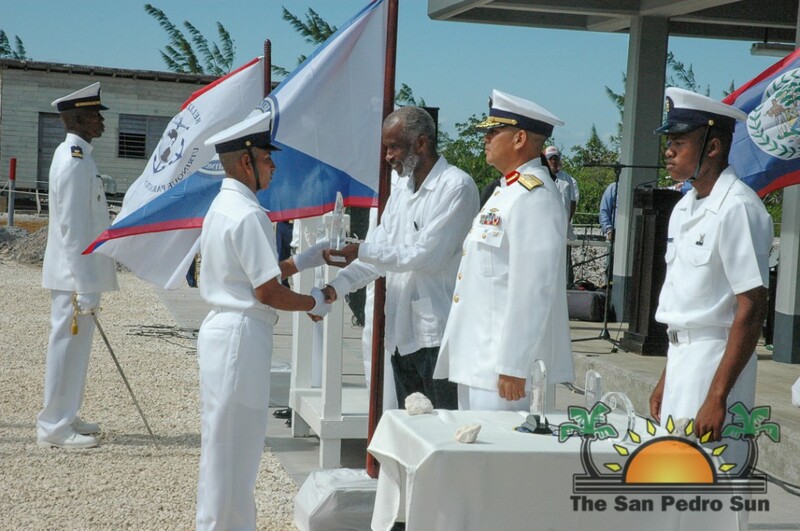 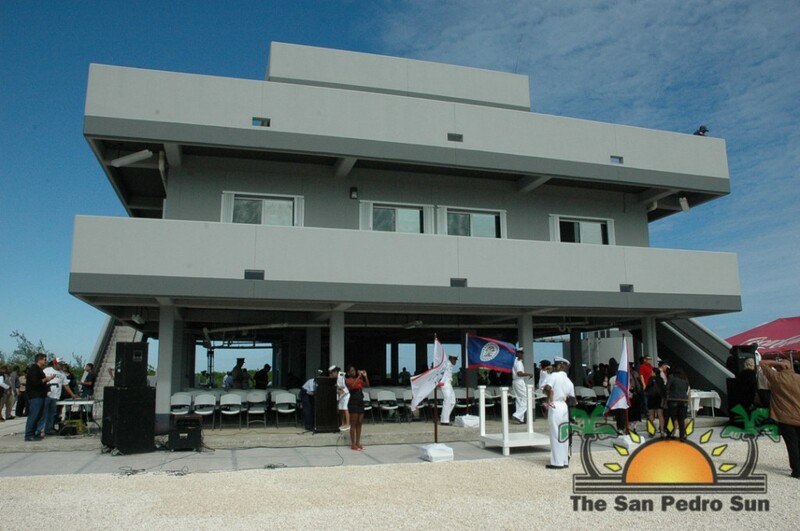 At the event, Governor General of Belize His Excellency Sir Colville Young inaugurated the Belize Coast Guard’s second facility located at the entrance of the marina channel on the southwestern part of the island across the lagoon. 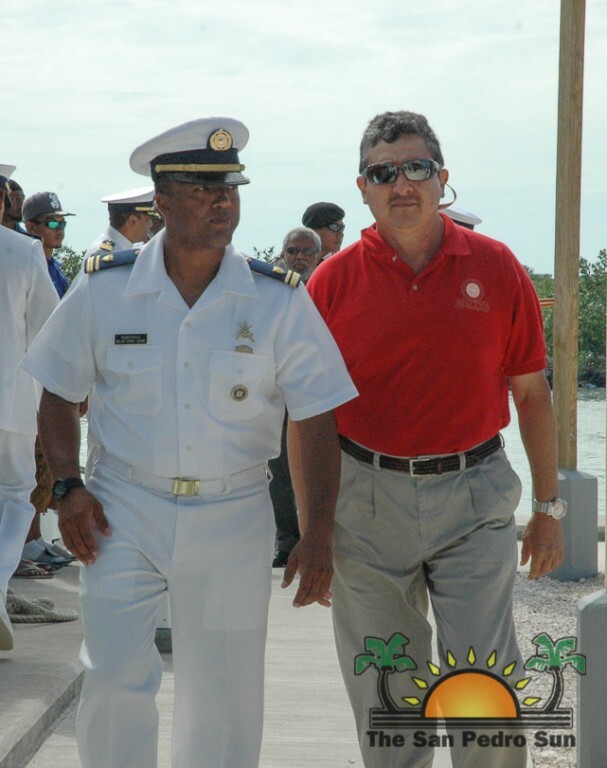 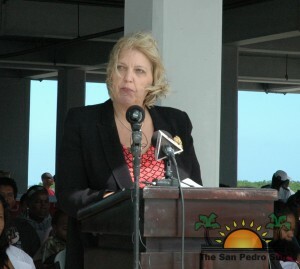 Lovell said the idea of building a facility on Ambergris Caye came in 2008, and he explained that because the island is one of the major points in Belize for the transshipment of drugs that finds its way to the US, the idea was not dismissed. 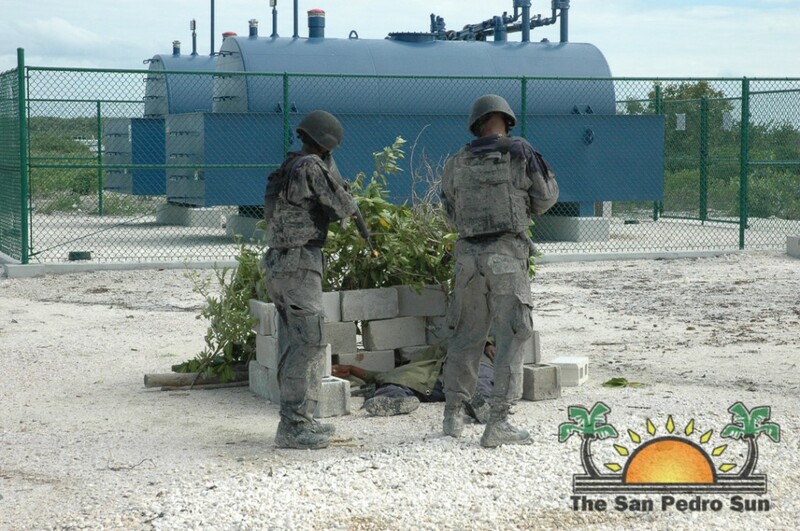 Providing the infrastructure and equipping law enforcement personnel is paramount for both Belize and the US to fight the trans-national crimes such as narco-traficking and human trafficking. 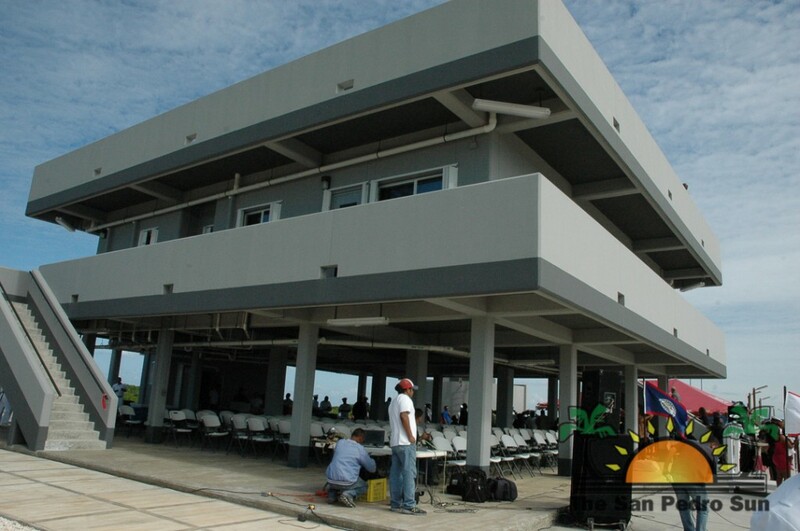 The new base called the Northern Forward Operational Base (FOB) was financed by US Government through the US Southern Command to a tune of US$1.5 million. 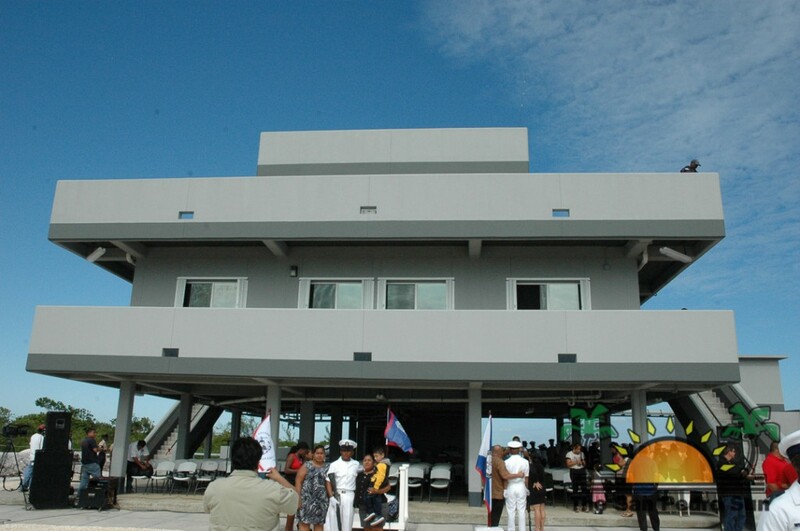 It includes a command center with state-of-the-art equipment and tracking devices, accommodation space for 16 personnel, a diesel generator and fuel station that can hold 5,000 gallons of diesel and gasoline, a docking facility for up to two large vessels, and the structure can withstand Category 5 hurricane force winds. 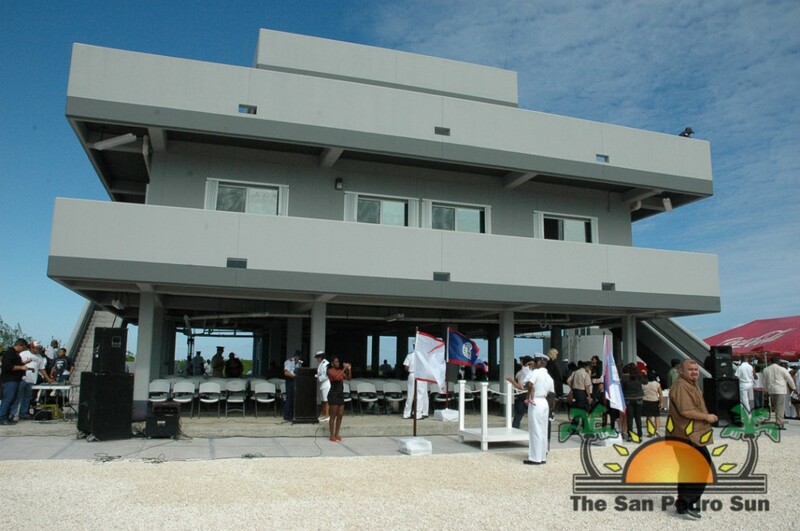 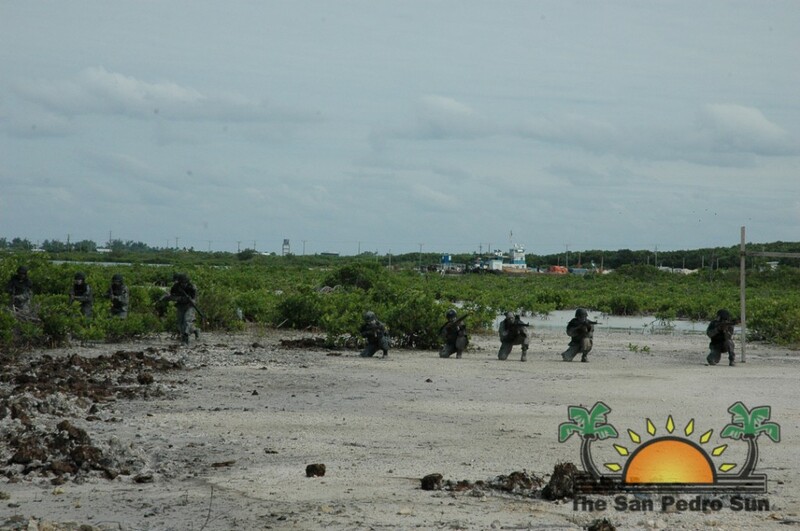 CEO Lovell said that FOB capability extends far beyon San Pedro Town. 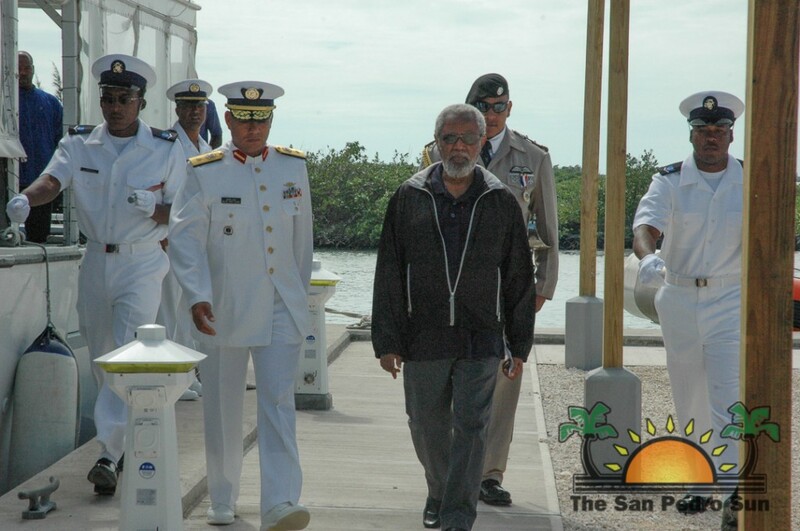 It will serve as a base that will stand ready 24 hours a day to deploy vessels and personnel to the Belize-Mexico Border along the Rio Hondo River, the Chetumal-Corozal Bay, and the northern cayes including Caye Caulker and Ambergris Caye and extending to Belize’s high maritime waters. 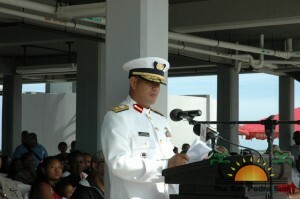 Lovell said that the base will serve many purposes and has many missions. 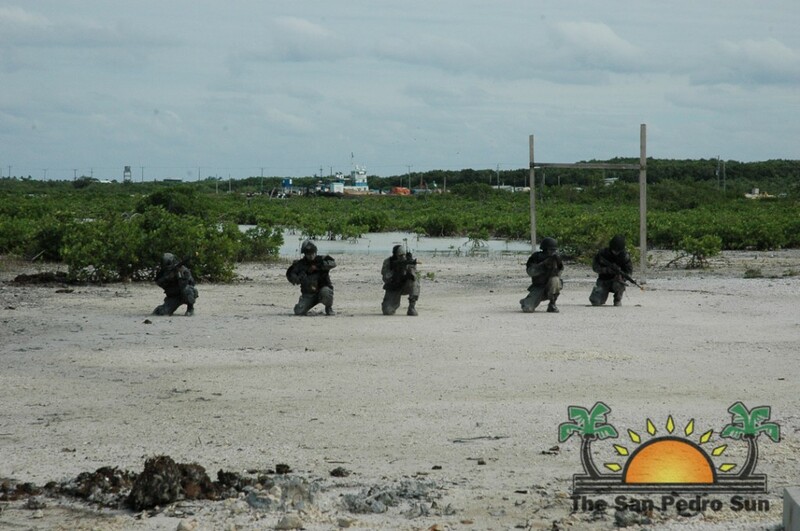 “Their mission will range from drug trafficking, human trafficking, illegal contraband, fisheries and environmental protection and safety and disaster relief operation. 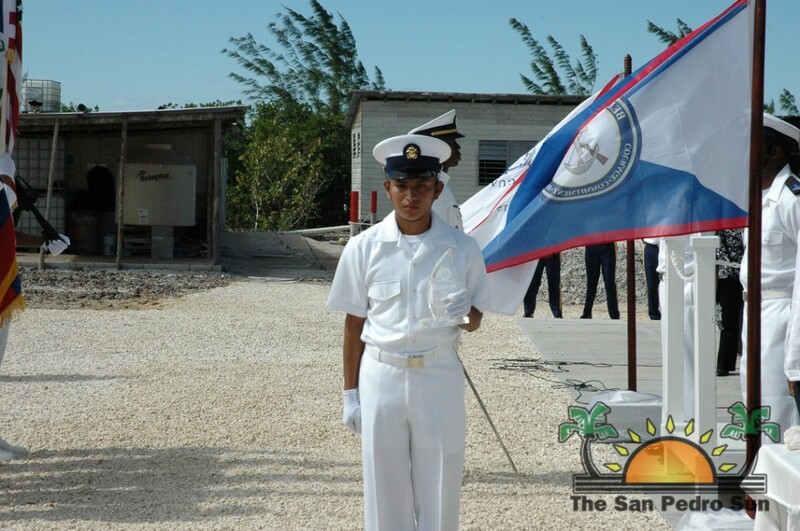 The new intakes will be assigned to various areas including Ambergris Caye. 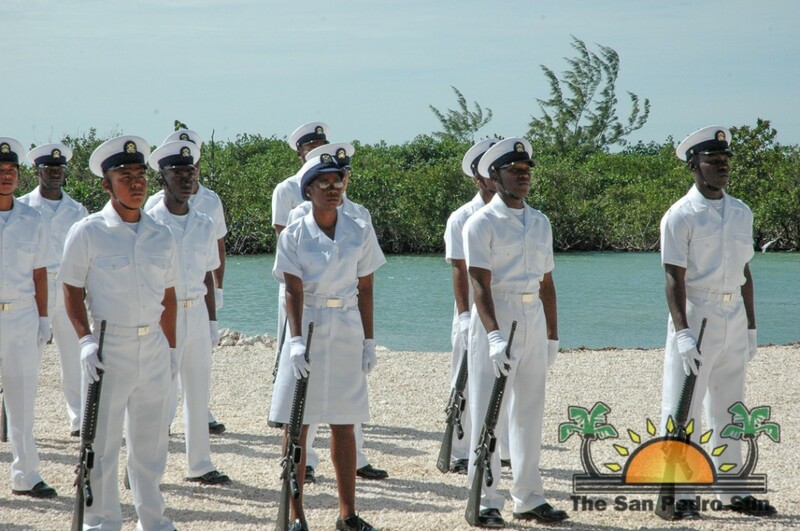 They will be required to perform in a manner where military training and law enforcement duties will be expected with high degree in society, without aggravating or causing a particular situation to escalate,” said Lovell. 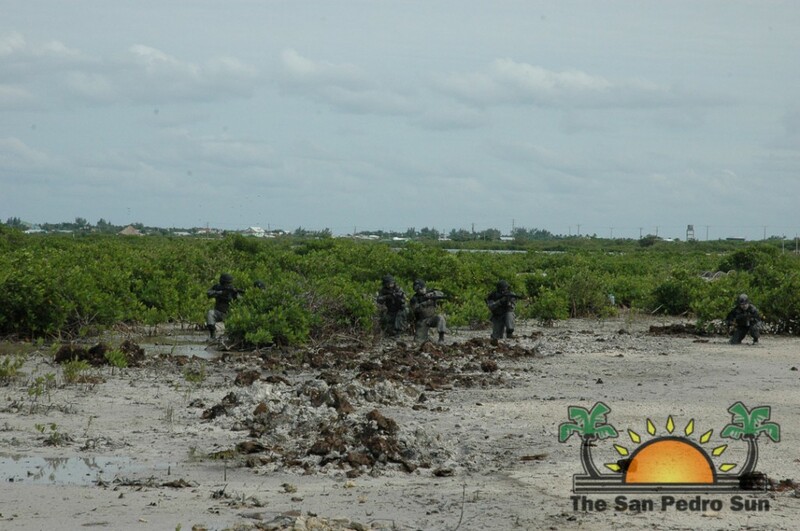 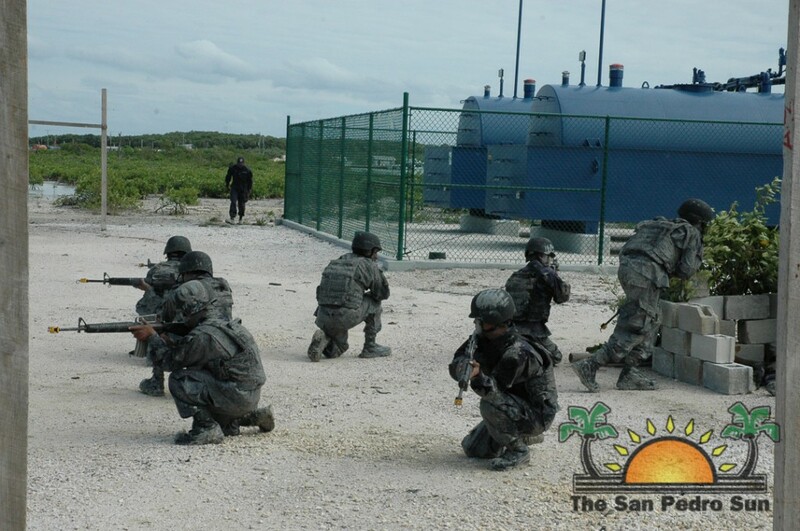 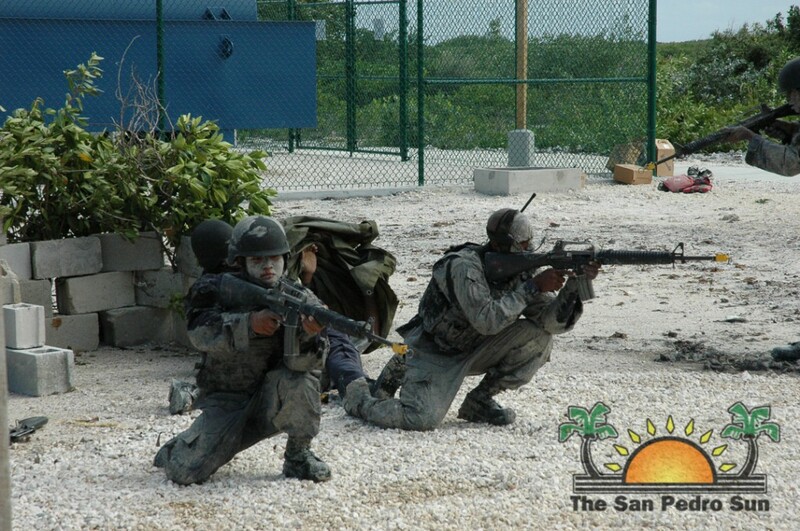 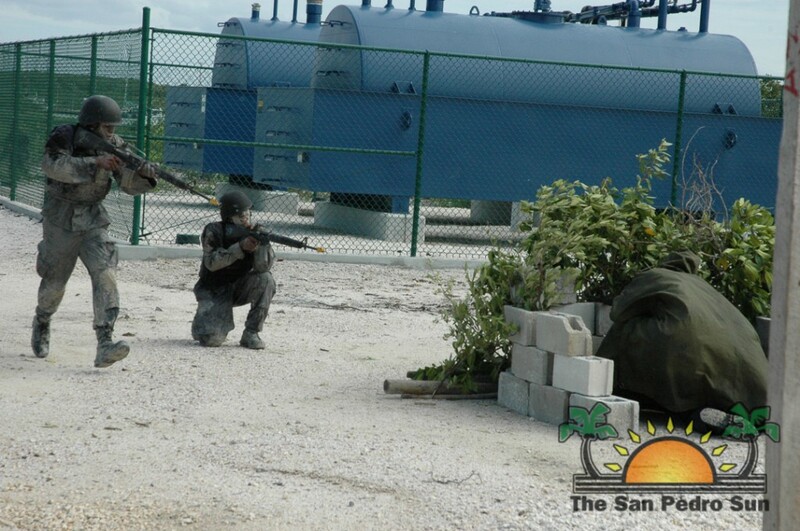 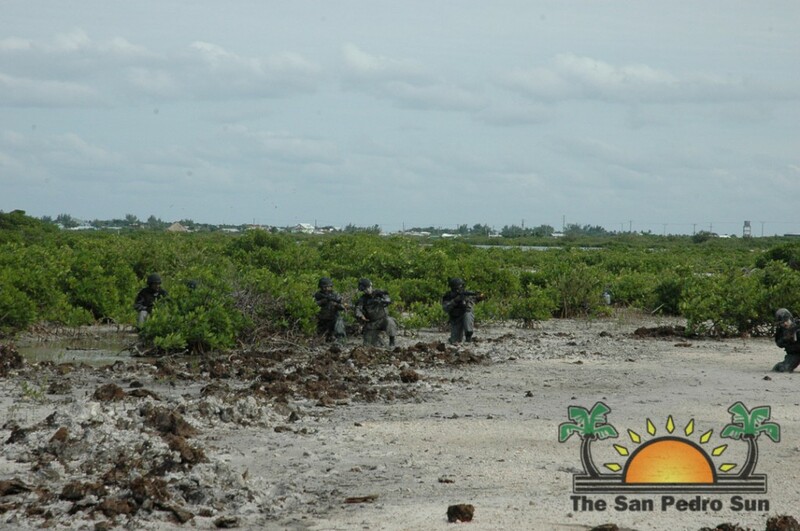 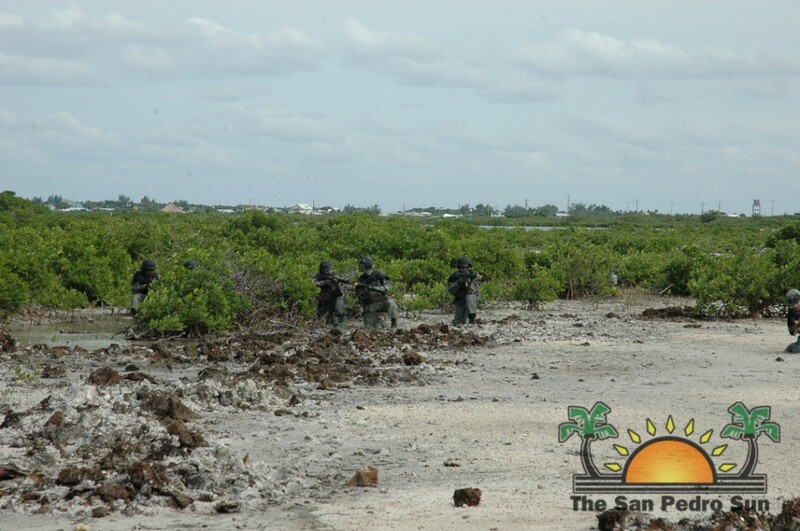 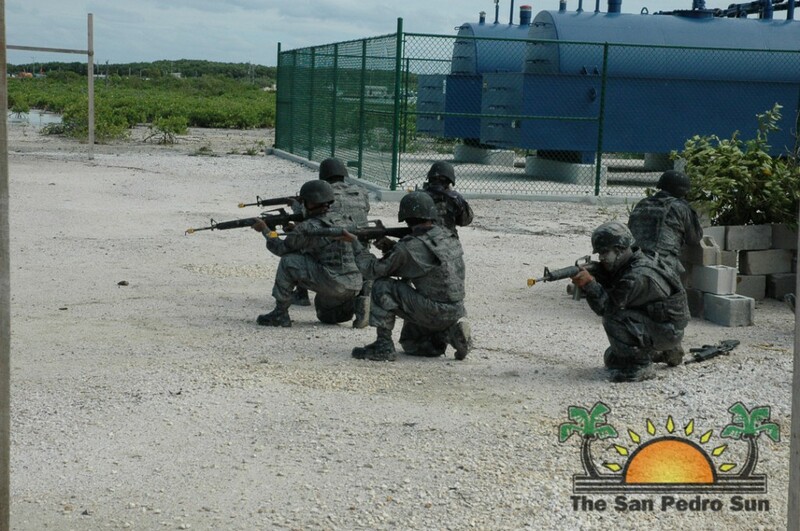 According to the Belize Coast Guard, works are ongoing to upgrade the Hunting Caye facility in the southernmost cayes of Belize, and construction for a Southern Forward Operational Base at Big Creek will commence in 2014. 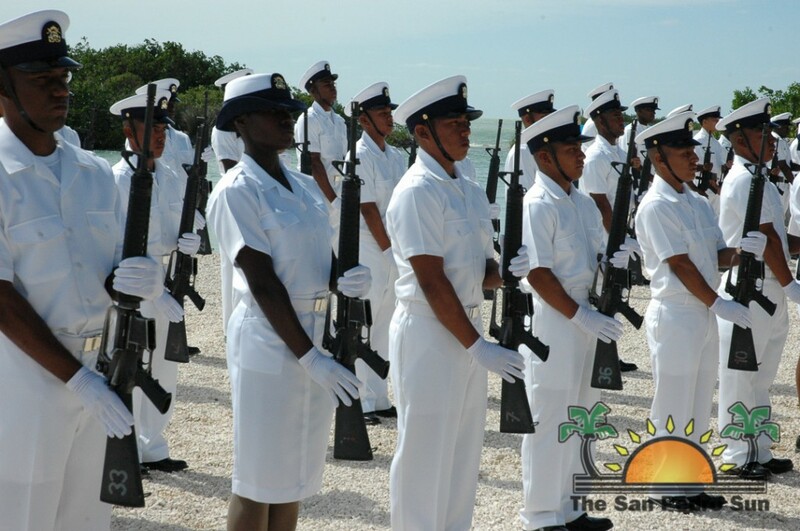 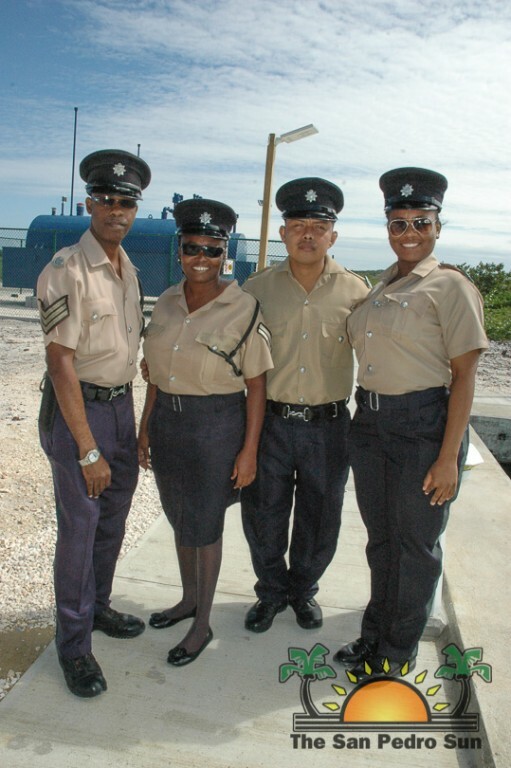 By 2020, the Belize Coast Guard should have six operational bases at various areas in Belize. 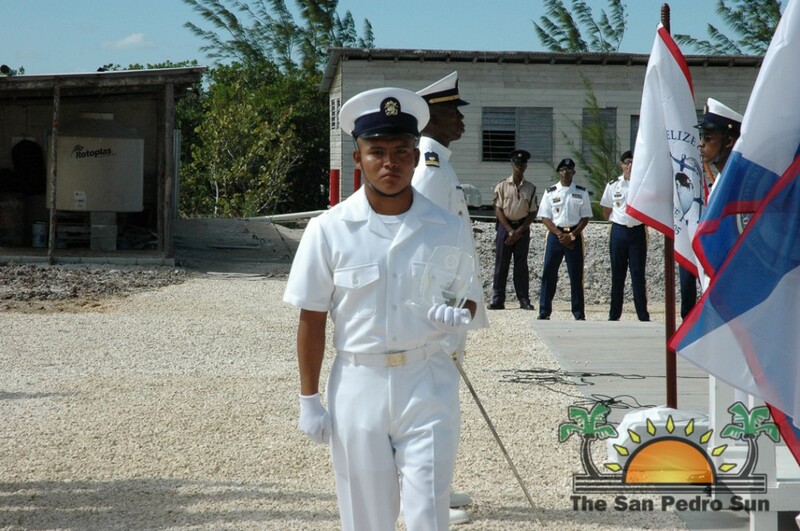 At the event, four top awards were given out as part of the graduation of the 4th recruit. 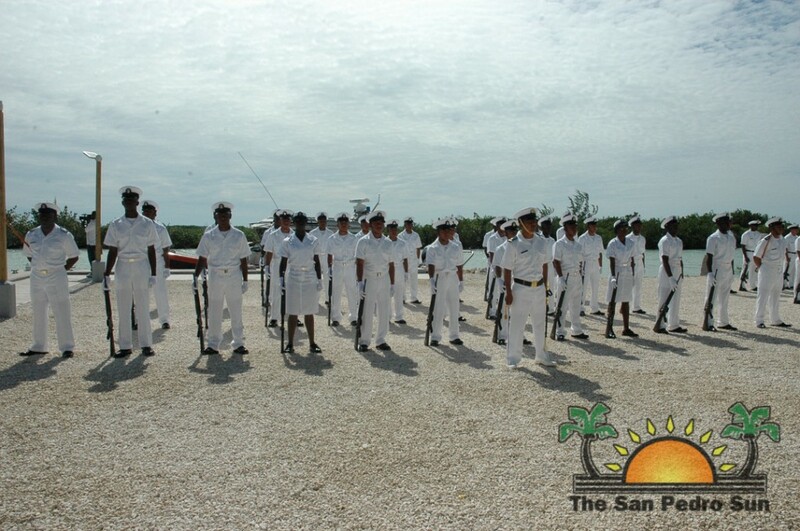 The Champion Shot Award went to Recruit # 1202 Eric Cus, Best Swimmer Award went to Recruit # 1193 Dion Cus both of San Miguel Village in the Toledo District, Champion PC Award Recruit # 1190 Steven Coleman of Dangriga Town in the Stann Creek District and The Champion Recruit Award went to Recruit # 1201 Noe Hernandez of Guinea Grass Village of the Orange Walk District. 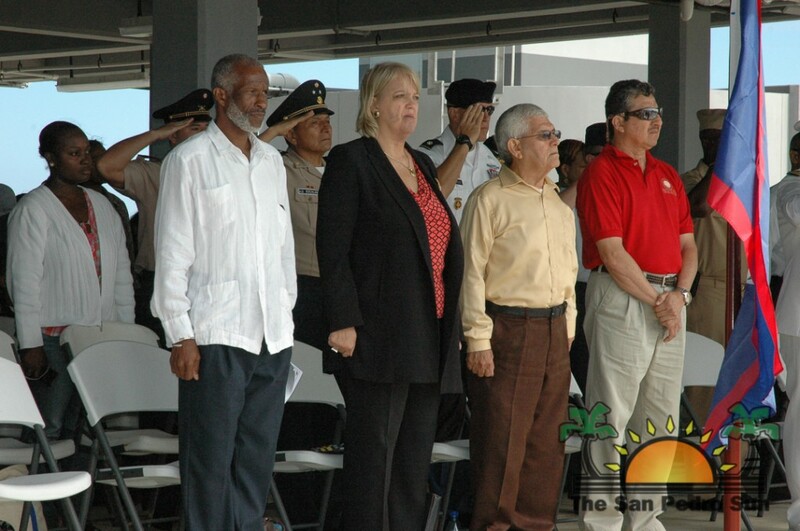 Amongst the invited guests was Mayor of San Pedro Town Daniel Guerrero. 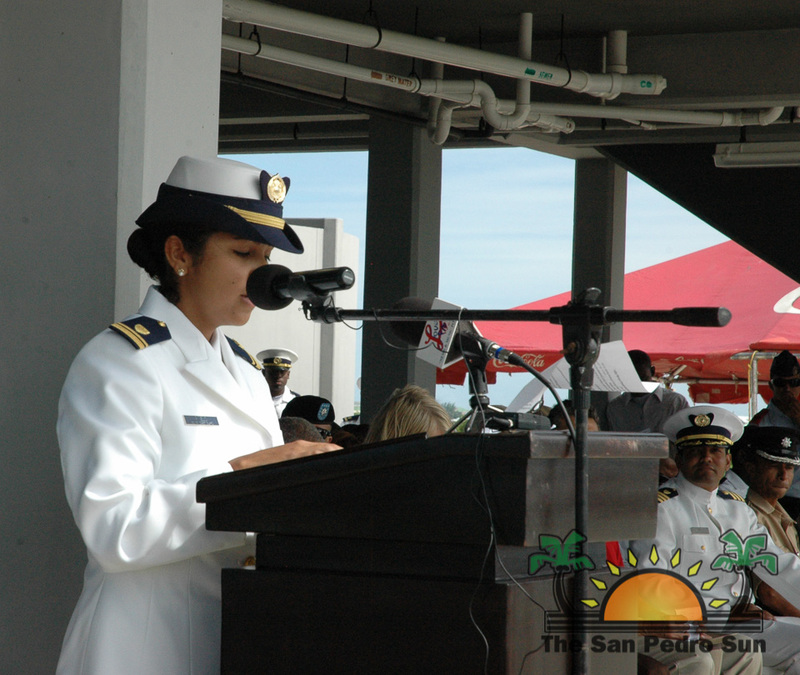 The Mistress of Ceremony was Coast Guard Alma Pinelo of San Pedro Town.